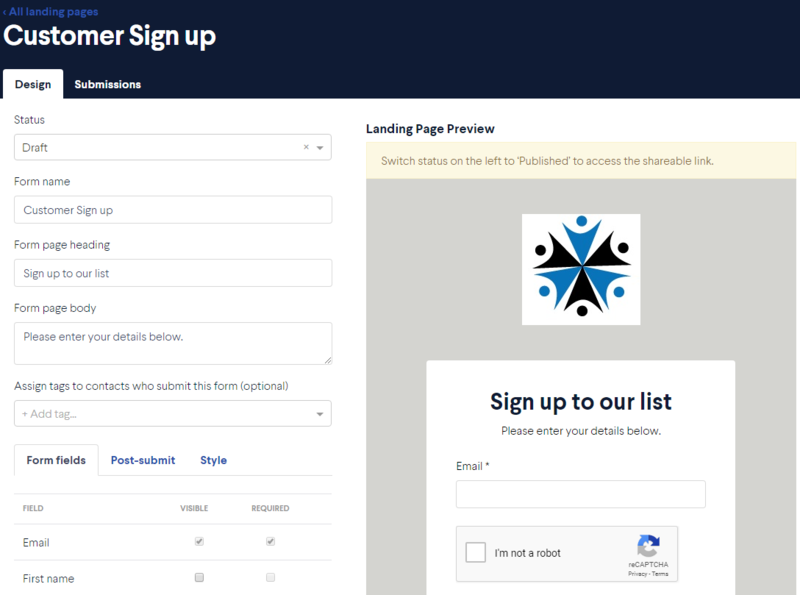 Branded landing pages are used so your contacts can sign up for your mailing list so you can regularly keep them in touch with you through BOMA. You can also use landing page to capture registrations for an event. Finally you will need to change the status to Published which will put the page live and also display the URL of your landing page and form. How to share your landing page. Copy the URL of the relevant landing page from the Landing Page menu in BOMA - shown in green panel below. From your Dashboard, click on New Campaign then Share a Website. Paste the URL into the box. Click Deliver to my Audience and the select the relevant channels. Step through the campaign process as normal.